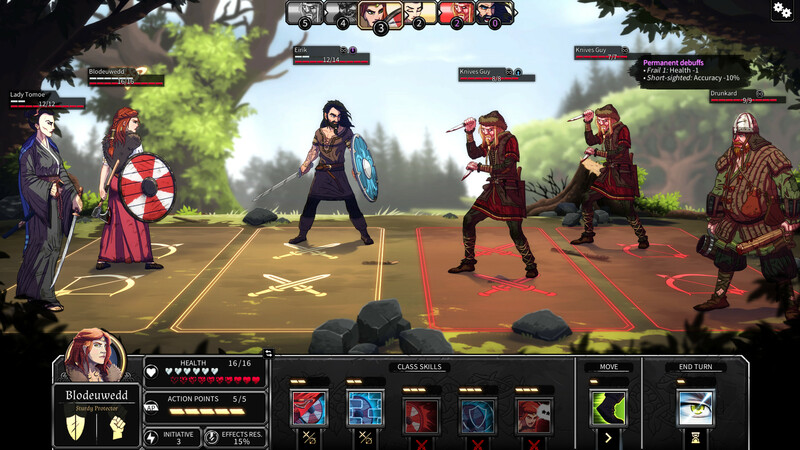 If you’re among those Dead In Vinland fans who’s been eagerly awaiting a chance to ditch the story in favor of a far more customizable pure survival experience… then this DLC was made for you. Perhaps not literally, but almost. This mode also comes with exclusive features and additions, like, say, new merchants and starting skills, a map of randomized tiles (that regenerate after a while), and much more. The list of lovely things in the DLC continues with allowing players to freely choose starting characters, as well as pick up new ones at any time, long as there’s room in that fancy camp of theirs, and even enables the spending of resources “to fully customize your characters’ starting skills and Traits before recruiting”. If you’re gonna play God and mess with the DNA of your troops, there really is no better place than a video game, I always say. That’s not all either in terms of recent additions for Dead in Vinland, the 1.3 update bringing about a slew of sweeping changes, from far more customizable difficulty settings and actually making intelligence useful to plopping a stats screen into the character sheet and… well, generally making the experience far less RNG-y. That last bit is something I’m sure a lot of fans will be thrilled to hear, seeing how that was a particularly recurring negative amidst user reviews on Steam. So here’s to hoping the game will garner a noticeably larger amount of positivity now. Dead In Vinland – Endless Mode: Battle Of The Heodenings is available on Steam and GOG.com, carrying a $4.99 price tag.